Keiro Kai and Family Day, Saturday, Sept. 9! We hope that you can join us on Saturday, Sept. 9 for our annual Keiro Kai & Family Day extravaganza! From noon to 2:30pm, you can find us at North Bethesda Middle School, where we will be serving up some delicious teriyaki chicken, grilled beef, goma green beans, and more! There will be music by the JBE Band and, of course, Bingo! RSVP at www.jacldc-keirokai2017.eventbrite.com or, you can email JACLWDC@gmail.com. This is a free event for JACL members and $10 for non-JACL members. Come ready to eat, meet some new people, and have fun! We hope to see you there! RSVP: www.jacldc-keirokai2017. eventbrite.com If you are unable to RSVP via the Eventbrite link, please email JACLWDC@gmail.com with the names of attendees. 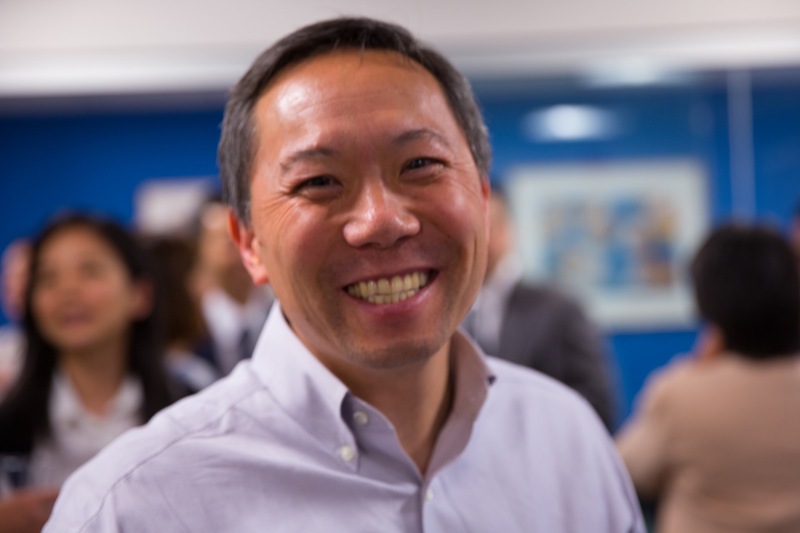 The JACL-DC chapter is happy to welcome David Inoue, longtime DC chapter member and board member, in his new position as JACL National’s executive director. We look forward to continuing our work with him and seeing him at our upcoming chapter events! Below is an excerpt from David’s welcome letter that will be included in our upcoming News Notes. It is an honor and a privilege to serve as the national executive director for the JACL. To represent the Washington, DC chapter which I have been a member of since moving here in 2001, is an even greater privilege. It is because of the rich history and dedication from the members of this chapter that I even considered the possibility of serving in this role. Serving on the board for our chapter, in many ways has helped prepare me for this role. First, I know that I have the vast resources of this chapter to reach out to. Many of you have played a pivotal role in the chapter and the national organization. JACL is not without its challenges. I hope that the successes of our local chapter can in some ways be transferred to the national level. Not all chapters have the advantages we do in Washington, DC such as a constant influx of new young and energetic youth as interns and fellows or a relatively high standard of living. But there are lessons to be learned from what we have done well as a chapter and I look forward to sharing those with others and bringing new ideas from around the country back home. I have begun the process of learning about the many different JACL chapters. I certainly don’t want to exclude the DC chapter from that process. Although I am familiar with many of you, please do not hesitate to call or email me with a thought or suggestion. As I emphasized at the Sayonara Banquet in July, JACL is a membership organization and you are the membership. I look forward to working for and with all of you. In part II of our conversation with Thomas Striegel, vice president at Davis Buckley Architects and Planners, and project manager for the design and construction of the National Japanese American Memorial, we ask questions related to the Memorial’s present-day impact and Thomas’ hopes for the Memorial’s future. Q: What is a fun, little known fact about the Memorial? A: The rocks in the pool are not natural boulders but were shaped from blocks of quarried granite and shaped by stone craftsmen to look like natural boulders. We guided their carving to produce complimentary shapes that worked well together. Q: What is your favorite aspect of the Memorial? A: I’m very pleased with the way that we were able to integrate the Memorial comfortably into what is actually a steeply sloping site (the elevation drops 14 feet along the length of D Street) without any steps or steep walkways. The resulting framed views and vistas to and through the Memorial are my favorite aspect. The view from the exterior sidewalks across the pool to the crane sculpture, and from the center plaza through the notch in the wall and across the pool, up the pathway towards the bell, along the tapering waterfall edge of the pool, each create a unique viewing experience that captures the configuration of connections that tell the story of what took place during WWII. Q: It has been about 17 years since the Memorial was finished. Is there anything that has surprised you about the memorial over that course of time? A: I’m encouraged that as we get further in time, past the events that this Memorial commemorates, its success is demonstrated by the continued and seemingly growing interest in its story and lessons by young visitors. Q: What is the most memorable encounter you’ve had with someone who has visited the Memorial? A: There have been several, but one that stands out occurred about 9 months after the Memorial was dedicated. I was there to check on an item that required attention when a couple of tour buses pulled up and a large group of Japanese American senior citizens got out and started to walk around the Memorial. I guess I looked like I knew what I was doing so a few people came up and asked me some questions. I ended up giving an impromptu tour of the Memorial to the group. After the tour, the visitors explained that they were celebrating their 50th high school reunion from a school in New Jersey and all agreed that as part of the celebration they had to take the 3 1/2 hour bus ride down to see the Memorial. They further explained that at the end of the war, Seabrook Farms in Cumberland County, NJ, recruited workers being released from the internment camps. Their families had all relocated to NJ, where they attended high school together. I was deeply moved that a trip to the Memorial in Washington, D.C., was the centerpiece of their reunion and how pleased they were to be there. Q: What are your hopes for the memorial for the future? A: My hope is that the Memorial will continue to be of interest and grow in interest through increasing public programs and events held at the Memorial. We’ve learned that the more a Memorial is used, the more people will see its value and be committed to its care and maintenance. 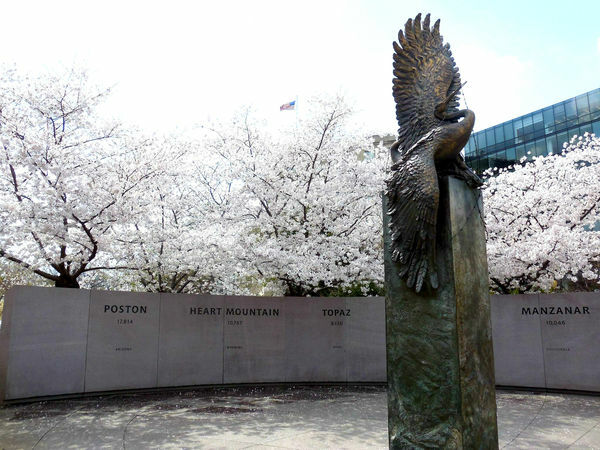 Hopefully if you’ve been to the D.C. area, you’ve had the chance to visit the National Japanese American Memorial to Patriotism. It’s a masterful tribute to the Japanese Americans who were unjustly incarcerated during World War II and the Japanese Americans who courageously served in the 442nd Regimental Combat Team. Martin Luther King, Jr. said, “We are not makers of history. We are made by history.” The Memorial plays an invaluable role–not only helping to preserve Japanese American’s place in history, but it’s a reminder of past injustices that shape our commitment to civil rights. The JACL DC chapter was fortunate enough to have the opportunity to sit down with Thomas Striegel, vice president at Davis Buckley Architects and Planners, as well as the project manager for the design and construction of the National Japanese American Memorial. It was an insightful and educational experience. Below is the first part of our conversation with Thomas. Q: What was it about the National Japanese American Memorial that made your firm decide to take it on as a project? A: From the outset, we were honored to work on the Memorial. 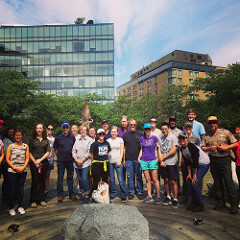 The National Park Service recommended our firm, Davis Buckley Architects and Planners (DBA), to the National Japanese American Memorial Foundation (NJAMF). We had recently completed the National Law Enforcement Officers Memorial, and were well regarded for our work to secure the required design and technical approvals from several jurisdictional agencies. We were initially engaged to work on the site selection, and after that went very smoothly, were then asked to design the Memorial. The importance of what the Memorial would stand for was immediately evident. It was also clear that those we worked with at NJAMF were dedicated to see the Memorial’s construction, which at times can be a challenging process, through to completion. Q: What was your vision when you first started designing the Memorial? A: We tried to be very open minded at the outset regarding what the Memorial should be. We did a lot of research about the related events. Davis Buckley, our firm’s founder and president, organized a number of focus groups with Japanese American community members to hear firsthand about their experiences before the war, in the camps or in the military, and after the war. Additionally, our firm wanted to learn what the Memorial would mean to them and what they thought it should be. The feedback was invaluable and helped to shape the design. Q: The Memorial is intended to recognize the unjust incarceration of Japanese Americans during World War II, as well as pay tribute to those JA’s who fought for a country that was also interning their families. How did you go about conveying such a difficult and complex topic? A: It is a complicated story. The continuous form of the spiraling wall is the Memorial’s uniting element. It first shapes the contained, central space—symbolic of the internment camps. It then leans back, opens, and gets lower to express the contributions that those who fought for the national cause while simultaneously depicting that the camps were both unneeded and unjust. The inscriptions on the various parts of the wall help to tell the story. Q: What was most challenging during the building of the Memorial? A: The site presented a number of technical challenges. The natural elevation of the site was much lower. When the plan for that area of Washington, D.C. was developed, approximately 10’ of fill material was brought in to construct the adjacent avenues. The fill material was not clean structural soil; it came from landfills and contained long buried trash and construction debris, which provided a poor structural base for the Memorial. The soil had to be densified and reinforced using geopiers; evenly distributed columns of highly compacted gravel that extend down to sound natural soils. During excavations for the foundations, areas of intact brick pavers were discovered 10’ below grade. Research concluded that they were the remnants of the sidewalks that surrounded the original train station that existed before the area was filled. There were also a number unmapped, existing utilities discovered that had to be rerouted and a vent from the adjacent underground Metro tunnel that that had to be repositioned and reconstructed. Q: What emotions were you hoping to evoke as visitors walk through the Memorial? A: We hoped that it would result in feelings of deep pride for the Japanese Americans who had persevered through the events of WWII in such a dignified and honorable way, to be honored in this significant way at a prominent site in the Nation’s Capital, with a national monument built of beautiful, durable and well-crafted materials. We also hoped that visitors would learn more about this important story, and leave with a better understanding of how wrong the internment was and how nothing like this can ever be allowed to happen again. 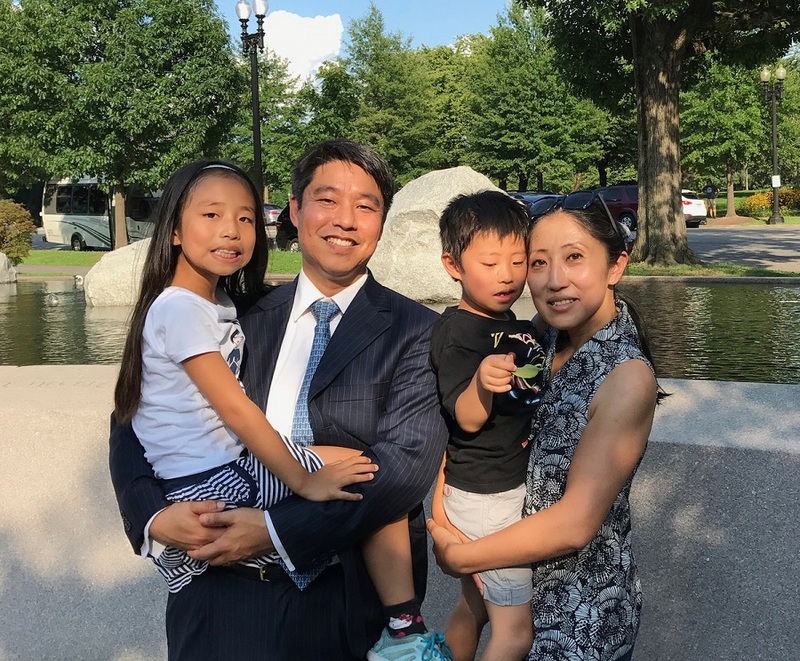 The JACL-DC chapter is happy to present the fourth post in our new blog series, Meet Our Board. As a way to introduce you to our 2017 board members, this series will feature posts from members throughout the year. Past posts include one by our youngest board member, Christie Mori, as well as by at-large members, Craig Shimizu and John Tobe. Be sure to keep checking back for future posts from these individuals who are here to serve the DC chapter. I retired several years ago after a long and satisfying career in education as teacher and administrator, which included elementary school principal, director of a high school in a psychiatric hospital, and director of elementary instruction in Montgomery County Public Schools. I have returned to my school district, however, for part-time work. I enjoy spending more time organizing family gatherings and maintaining traditions as matriarch of our immediate crew of my husband, two daughters, two sons-in-law, and three grandchildren, ages 5, 8, and 11. I have also had time to return to my own roots in the Japanese American community by leading the DC Chapter of the JACL and co-chairing the JACL Legacy Fund Grants Committee. My story as a Japanese American starts with growing up in South Bend, Indiana, after my parents left Tule Lake and eventually settled in the Midwest. There were virtually no Japanese children in my hometown except my cousin, whose family lived with us for 12 years after they left camp. I remember being teased about the way I looked and being the token Japanese in an all-white Sunday school class. Nevertheless, my cousin and I wanted to blend in with the majority, and we excelled in school. In JACL I have had the opportunity to focus on my Japanese heritage, making meaningful friendships and participating in valuable cultural, historical, and civil rights events. Being named to the DC Chapter board heightened my participation in the organization and led to other leadership positions. Mochitsuki, Keiro Kai, June Picnic, and Memorial Day, to name a few annual events, have become given parts of my year. JACL has helped me come full circle in understanding and appreciating my Japanese legacy. I hope many others will be active in our DC Chapter as they deepen their own story. Thank you. Three years after WWI, a tomb was placed in Arlington Cemetery. Why? To represent the soldiers who fought for America but their bodies were never recovered. In 1956, President Eisenhower paid for the memorial guaranteeing it would be a representation of America. So today, May 28th, we celebrate all the Soldiers, whose buried or not, that fought for America, but lost their lives in war. This day is called Memorial Day. At first, I thought Memorial Day was just another day, but as I did some research for my speech, I started getting a deeper meaning of Memorial Day. It used to be called Decoration Day. Also, there are many parades and parties to celebrate Memorial Day. So Memorial Day is kind of a big deal. I can remember those that lost their lives and some had families with kids my age, but did not make it back. It’s hard growing up in a military family. My mom and dad are both in the Army and I have moved 3 times already. Soon, I will be moving to Alaska. 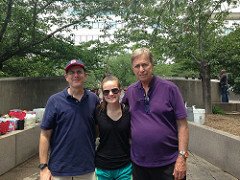 My mom is in Korea now so my sister and I are with my Dad. My grandparents watch me when my dad has to go away for work. I also have traveled. I recently took a 14 hour flight to see my mom in Korea. 14 hours! I sometimes don’t want to be in a military family, because it’s hard to keep in touch with friends. When I get sad about being in a military family, I just think about all the good things we have done and new places to go with my family. Also in my research, I read about a very brave soldier from WWI. He was a private and recorded as the youngest Soldier to ever die in WWI. He was taking shelter in a pit he dug himself when a German soldier threw toxic gas inside his pit. He tried to escape but his lungs gave out. He actually lied about his age to enlist in the Army. 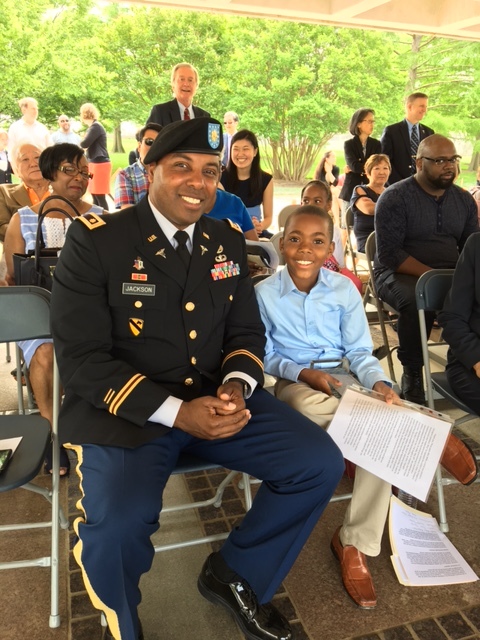 I believe he showed courage and his story of bravery will never end as we continue to celebrate Memorial Day. Thank you for this opportunity and May God Bless Us All. The JACL-DC chapter is happy to present the third post in our new blog series, Meet Our Board. As a way to introduce you to our 2017 board members, this series will feature posts from members throughout the year. Past posts include one by our youngest board member, Christie Mori, as well as one by at-large member, Craig Shimizu. Be sure to keep checking back for future posts from these individuals who are here to serve the DC chapter. Hailing originally from Los Angeles, I’ve lived in the DC area for more than 30 years. I’ve been proud to be a long-standing member of the JACL-DC chapter, and was honored to serve as its president from 2013-2016. While still serving on the DC chapter board, I’ve expanded my role to include chairing the 2017 JACL Convention which will be held here in Washington DC from July 6-9. Supporting JACL and attending the convention is personal to me because my father and his family were among the 120,000 people of Japanese ancestry who were unjustly incarcerated during World War II. Not only did his family lose their small family business, but they lost their home, and they almost lost hope. The JACL’s mission of fighting discrimination, educating the public, and continuously fighting for and protecting civil rights is incredibly important to me and my family. This is a particularly historic convention as we mark the 75th anniversary of Executive Order 9066. One of the highlights of this convention is a private reception at the Smithsonian American History Museum where one can view the actual Executive Order 9066, which is part of the acclaimed “Righting a Wrong” exhibit showcasing the experiences of Japanese Americans during World War II. Another highlight will be an exclusive reception hosted by the Embassy of Japan at the Ambassador’s residence. At this reception, we will be honoring Mr. Wade Henderson, the outgoing president of the Leadership Conference on Civil and Human Rights with the prestigious Governor Ralph L. Carr Courage Award for his lifetime of service in support of civil rights. During the convention, there will also be sessions and workshops related to civil rights, US-Japan relations, identity, and portrayals of APIAs in the media and arts. I hope that you will be able to join your fellow JACLers and JACL supporters as we mark this important occasion. One of my favorite things about attending the convention is the ability to meet new people from across the United States, Canada, Japan, and internationally. They come from all walks of life and have wide and varied backgrounds. But one of things that bonds all of them together is our deep support of civil and human rights, freedom, and the promotion of democracy. Please join us and add your voice and presence to this worthy endeavor. As the Convention Chair and DC Chapter board member, I look forward to welcoming all of you to the convention for what will be a historic and memorable experience. 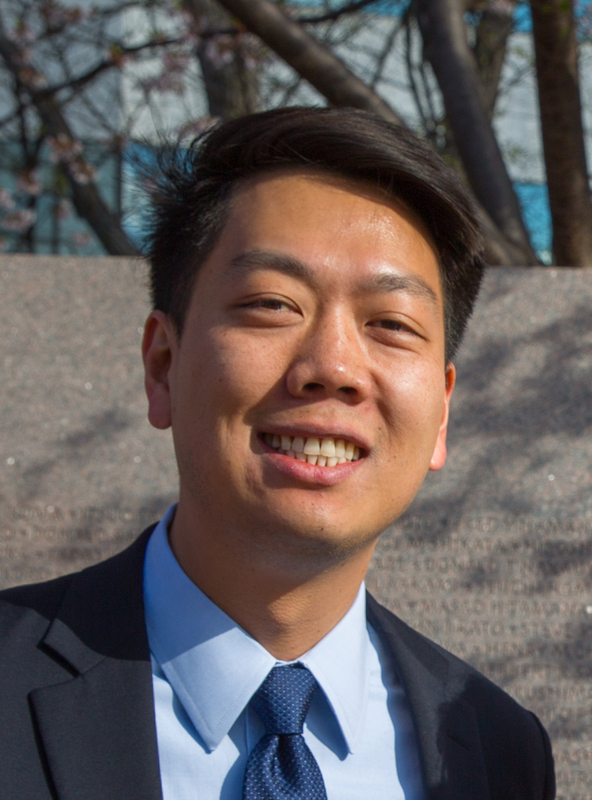 The JACL-DC chapter is excited to present the second post in our blog series, Meet Our Board. As a way to introduce you to our 2017 board members, this series will feature posts from members throughout the year. 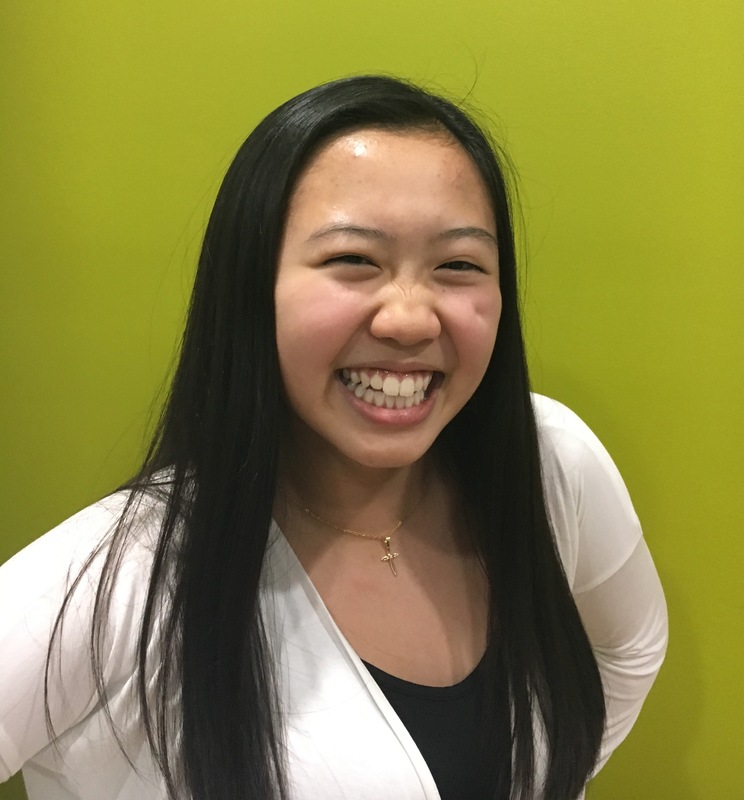 The first blog was from our youngest board member, Christie Mori. Be sure to keep checking back for future posts from these individuals who are here to serve the DC chapter. Greetings JACLers! My name is Craig Shimizu and I’m an at-large member of the JACL DC Chapter board. Originally a Bay Area native, my path to DC wound through the University of Southern California for undergrad before a short stint as an Army officer took me to the swamps of Georgia. After a detour to Afghanistan in 2013, I came to Washington in the fall of 2014 to work in the JACL National office as the Daniel K. Inouye Fellow. I currently serve as a JACL Mike M. Masaoka Congressional Fellow in the office of Rep. Tulsi Gabbard of Hawaii. John F. Kennedy once quipped that “Washington is a city of southern efficiency and northern charm,” but I’m eternally inspired by the remarkable people and organizations that advocate for the Asian American and Pacific Islander community in our nation’s capital. It’s been an amazing experience to work with community organizers, policy experts, military leaders, and members of Congress to tackle some of the most pressing issues affecting our community and our nation. As May comes to a close, I hope you’ll take the opportunity to celebrate Asian Pacific American Heritage Month and also join us on Sunday, May 28th for the 69th Annual JACL – JAVA Memorial Day Service at Arlington National Cemetery. I look forward to seeing you there! We were lucky enough to have a Q&A with “Valor With Honor” director Burt Takeuchi. 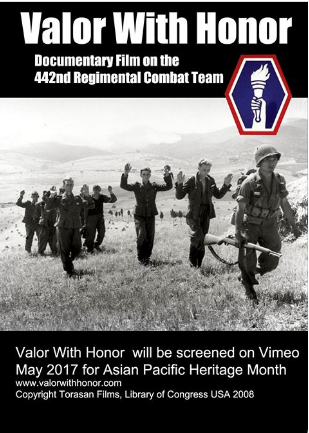 His film, which features more than 35 interviews with WWII veterans who served in the 442nd, is now showing on Vimeo in honor of Asian American Heritage Month. Q: What inspired you to produce “Valor With Honor”? A: The original idea was to make a short dramatic independent film on the 442nd. During the research phase in the film’s development, it was important to me to capture as many of the veterans’ interviews as possible before their story was lost. Their stories are an invaluable record of history and I wanted to make sure that we were able to preserve and document what they went through and sacrificed for our country. After a long and drawn out process to complete the film, “Valor With Honor” was completed in 2010. Q: What was the most difficult part in making this film? A: The most difficult part was learning to develop an effective interviewing style that would work with Nisei WWII vets. Most veterans in general do not like to give interviews about combat. It’s just too painful and they fear it might trigger PTSD [posttraumatic stress disorder]. I had to find a way to help them open up about their experience, recognizing that I had to balance addressing an emotional issue and asking questions to prompt their memories. Raising the funds to produce the film, as well as editing down the film were additional challenges. The first rough cut was about 6 hours long! It took months to get it down to 2.5 hours. At that point I felt I had something to show. It was like a sculptor chipping away on a giant rock until finally it develops into film. Q: Was there anything surprising that you learned from the interviews? A: Each interview was different for each veteran I spoke to. Each had their own personality and take on the war. Some vets were happy to talk about their “army days,” others were more guarded, some were hilariously funny, others shared stories that could not be used in the film because they were too gruesome. Q: What was most inspiring to you when sitting down with these JA veterans? A: The most inspiring interviews were the ones where the vets were willing to share the most terrifying battles because I felt that it probably took as much courage to talk about the war on video as it was to fight. I was honored that they trusted me enough to share and relive an incredibly intense and difficult time in their lives. Many veterans suffered terrible nightmares for years from PTSD and depression. The modesty and heroism of the veterans I was able to sit down with was very inspiring. Q: What has the response been to your film? A: The response has been positive for “Valor”. The film is now available on Vimeo online so anyone can watch the film almost anywhere. It is a huge hurdle to get an independent film advertised, and I’m thankful for this opportunity through Vimeo. Q: What do your hope is people’s biggest take away from your film? A: I hope people will have a better understanding of the 442nd: what the issues were that veterans faced on the battlefield and at home in the U.S. The 442nd is not just a Nisei or a Hawaiian unit, but an American unit that is the most decorated for its size and length of service in U.S. Army history. It’s my hope that people will come away from the film with a better understanding of the Nisei experience, through the personalities shown in the film’s detailed interviews. In the future, my goal is to produce a dramatic independent film on the 442nd. The JACL-DC chapter is excited to present the first post in our new blog series, Meet Our Board. As a way to introduce you to our 2017 board members, this series will feature posts from members throughout the year. Be sure to keep checking back for future posts from these individuals who are here to serve the DC chapter. Hello! I’m Christie Mori and one of JACL-DC’s two youth board chairs this year. I’m very excited to be a new youth co-chair and am honored and delighted to join the Board of Directors. My family and I have been members for five years! I’m currently an eighth grader at The Woods Academy in Bethesda, MD and when I’m not doing my Kumon homework, I enjoy playing tennis, writing, and singing in my school and church choir. In addition I also love playing soccer and softball. Next year I will be attending St. John’s College High School and will be entering in the De La Salle Scholars Program. I am also interested in filmography, and since I travel so often I always bring a camera with me to record and later create a short little “movie” of my trip. My background is unique. I’m the daughter of Nikkei Brazilian parents and speak Portuguese at home; I also speak Spanish and attend Keisho Center to learn Japanese. I recently went to São Paulo, Brazil to spend time with my family and friends. I look forward to working with the membership to create community-based programs to engage youth in the DC Chapter. 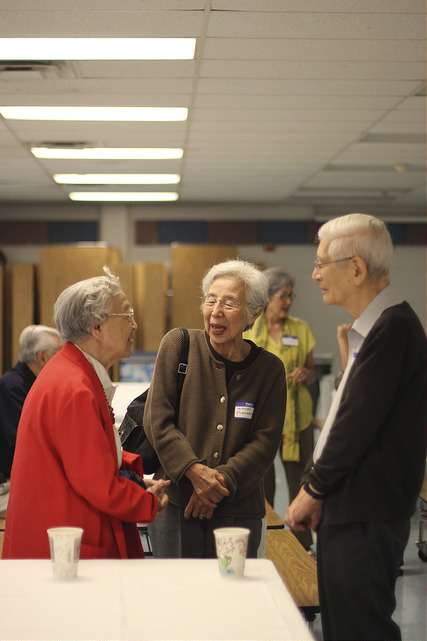 This is the website for the Japanese American Citizens League Washington, DC Chapter. Currently undergoing renovations.